The Discovery Site guided hike will take visitors to the original major deposit of Paleozoic Era fossilized “trackways”—footprints of numerous amphibians, reptiles, insects, and plants,—dating back 280 million years. Visitors will learn about the terrestrial world of the Early Permian Period, and the animals that roamed the tidal flats of the ancient oceans. The BLM Monument paleontologists will discuss the importance of the sites to the scientific study of early Permian period track sites and the associated animal behaviors and paleo-environments of the time, which predate dinosaurs. The Monument is located northwest of Picacho Avenue and Shalem Colony Trail. Participants for the hike are asked to dress appropriately and to remember their outdoor essentials –. For more information, contact the BLM Las Cruces District Office at 575-525-4300. 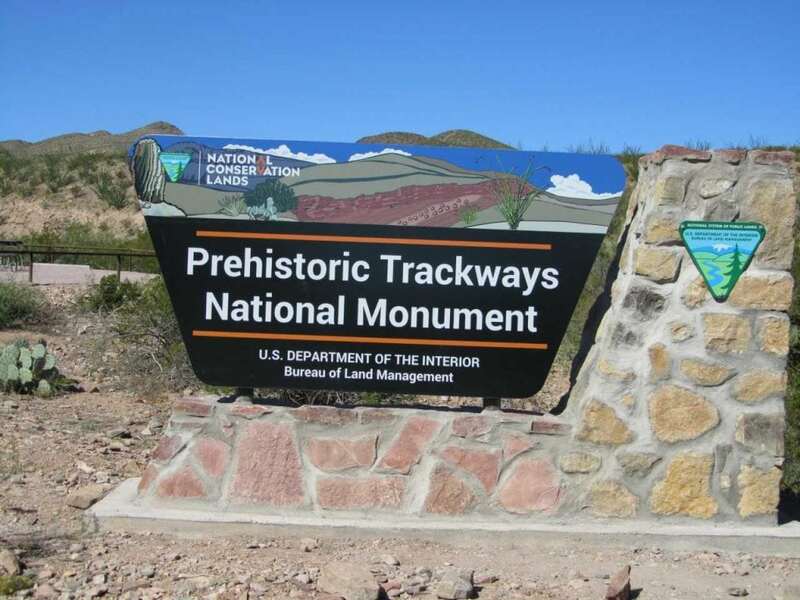 Meeting Location: Trackways Monument – northwest of Picacho Avenue and Shalem Colony Trail, Second parking lot located near the Monument entrance, please arrive 30 min early.